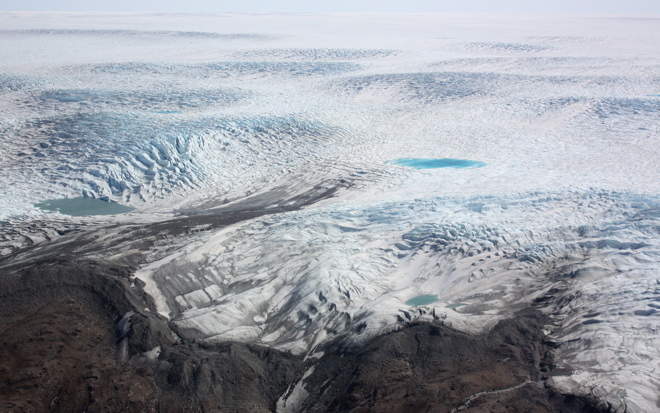 KANGERLUSSUAQ — IceBridge flight planners woke this morning to news that volcanic ash from Iceland had moved over almost half of Greenland, blocking flight lines to survey outlet glaciers along the southeast coast. In response, the team came up with a shortened flight plan that called for limiting the mission to western targets. First up was Sukkertoppen, or “Sugar Top,” an ice dome just south of Kangerlussuaq. 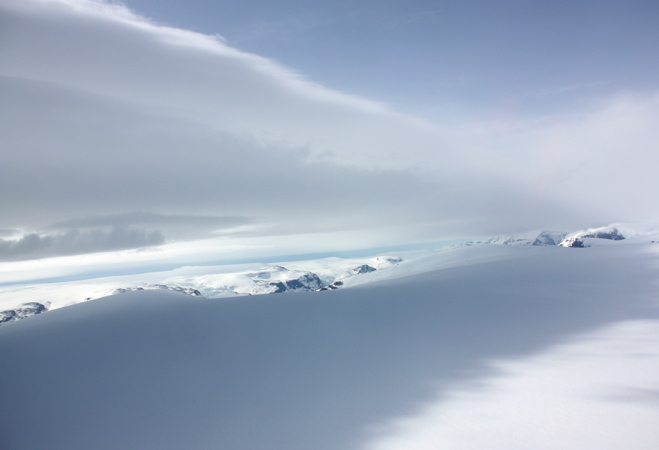 Sukkertoppen, like Geikie Plateau, is isolated and could be undergoing changes different from the rest of the ice sheet. Today’s mission follows two previous surveys of the area (1998 and 2008) giving scientists enough data to tease out trends beyond what could have once been called a seasonal anomaly. With fuel to spare, the P-3 headed back north to Russell Glacier. That’s where pilot Mike Singer flew back and forth in a “mowing the lawn” grid pattern. Most glaciers surveyed along the coast have been outlet glaciers that calve off into water, but Russell terminates over land. 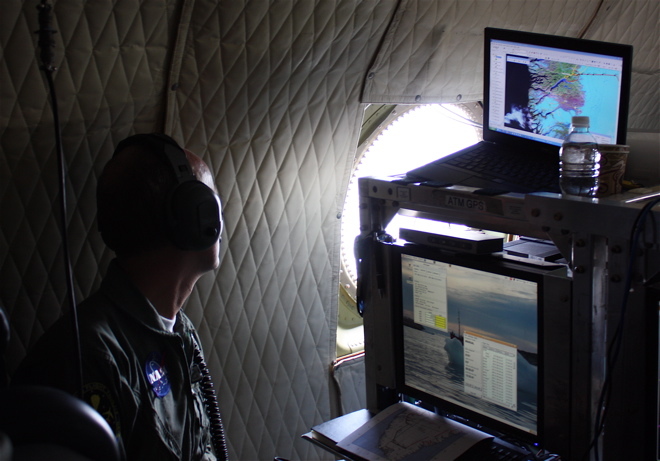 The data is expected to show whether a “grid” pattern improves the models that simulate these land-terminating glaciers.